The Ancient Spanish Monastery is an interesting historical site to add to your visit to Miami Beach. Often noted as one of the most important monasteries in North America and the oldest building in the Western Hemisphere, the Ancient Spanish Monastery wasn’t actually built in Miami; in fact, the Cloisters were originally built between 1133 and 1144 near Segovia in Northern Spain. That might be a bit confusing; after all, America wasn’t “discovered” until 1492 by Christopher Columbus. 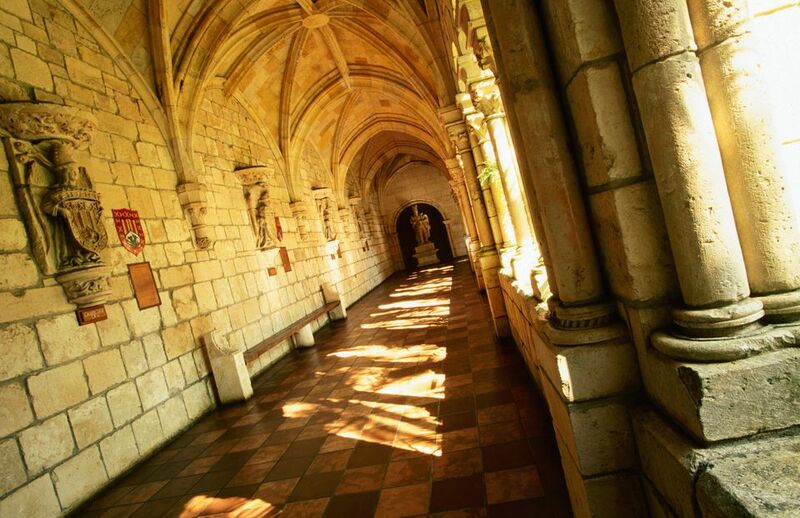 However, the Cloisters of the Ancient Spanish Monastery was erected by St. Bernard de Clairvaux in the twelfth century and eventually dismantled stone by stone before being shipped to the United States. The monastery was originally dedicated to the Virgin Mary; however, when Clairvaux was canonized as a saint, the Ancient Spanish Monastery was renamed in his honor. The Ancient Spanish Monastery enjoyed a period of peace for over 700 years; however, when Spain underwent a social revolution in the early nineteenth century, the monastery was captured and converted into a granary to help feed troops fighting in the revolution. In the hundred years following its capture, the monastery remained abandoned and was at risk of falling into permanent disarray. However, in 1925, millionaire and publishing king William Randolph Hearst bought the monastery, and this is when it was dismantled and shipped to the U.S., where it remained in storage in Brooklyn for over 25 years due to Hearst’s unexpected financial troubles. In 1952, they were purchased by two wealthy historians and rebuilt in North Miami Beach. The process of rebuilding the monastery took almost two years and $1.5 million dollars, but what results today is truly a worldwide effort to bring a beautiful and culturally significant monastery back to life. Because the monastery is not a museum in the traditional sense, there are no special exhibits; instead, the museum hosts a permanent exhibit on the fascinating history of this important cultural and religious landmark. Please note that all tours through the monastery are self-guided; if you are in a group of 15 or more people, you can contact the curator in advance for a guided tour. However, what the monastery lacks in special exhibits is more than made up for with its extraordinary beauty. Take a stroll through the garden of the Ancient Spanish Monastery, sit in the chapel of the St. Bernard de Clairvaux Episcopal Church or just brush your hands along the ancient stones and imagine yourself transported in time to 12th-century Spain. Admission to the Ancient Spanish Monastery is $10 for adults and $5 per person for students and seniors. The admission cost gives you access to the monastery, museum, gardens, and the adjoining church. If you want to see one of the most significant cultural and religious monuments (not to mention the oldest!) in the Western Hemisphere, then make sure that your to-do list includes the Ancient Spanish Monastery in North Miami Beach.